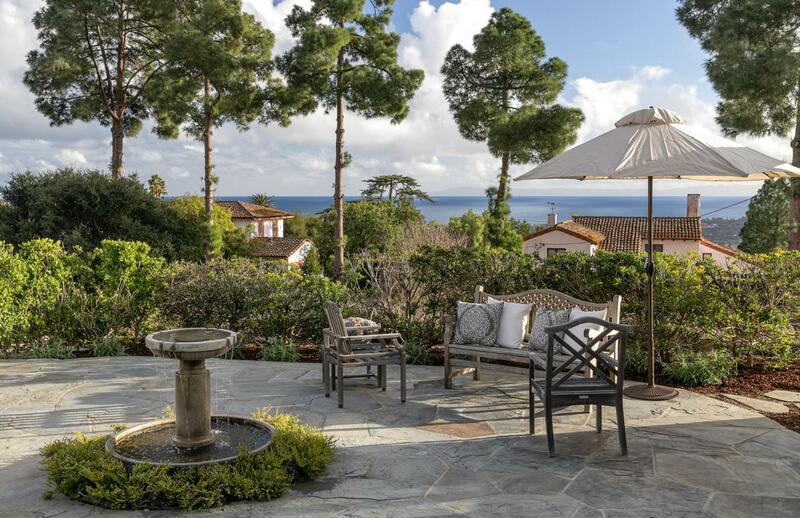 In the prestigious historical section of Santa Barbara's Upper Riviera, this gracious, traditional home faces south over red tiled roofs to harbor, ocean, island views beyond. 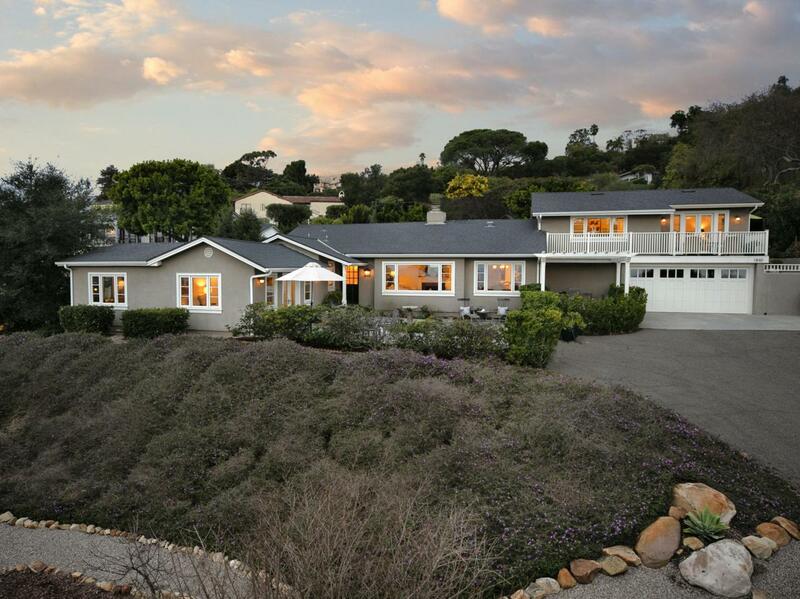 Tastefully remodeled, rooms open via picture windows and French doors to lovely terraces for relaxing or entertaining. The flexible floorplan offers two master suites on main and upper levels, each with sitting room, luxury bath; a third spacious ensuite guest bedroom; media room suitable as fourth bedroom; home office. The joyful kitchen features a charming breakfast room, two pantries, adjoining mudroom, and laundry. There is a large two-car garage with workshop plus ample storage and off-street parking. 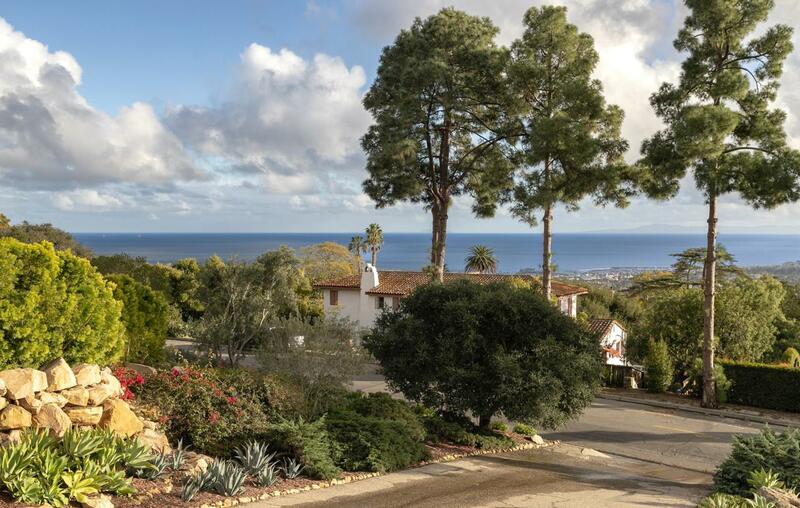 Classic features include hardwood floors, two fireplaces, upgraded systems.Lovely California landscaping, including orchard, is on drip irrigation. 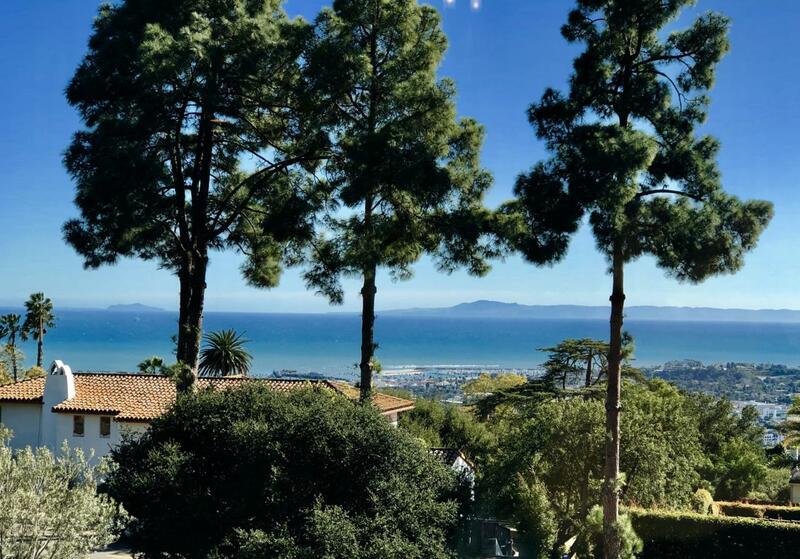 So close to fine dining at the El Encanto Hotel, films at the Riviera Theatre, beyond to fun in downtown Santa Barbara...easy living on the American Riviera.